Jess Glynne has been named as the main support act for the Spice Girls during their UK stadium tour in May and June 2019. Jess has also lined up a series of headline UK summer shows including Forest Live 2019. 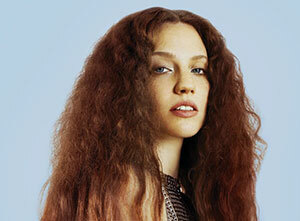 How to buy Jess Glynne tickets? Tickets for Jess Glynne's 2019 UK tour dates are on sale now. Ticket prices vary by venue and can be purchased at either SeeTickets.com or Ticketmaster.co.uk.